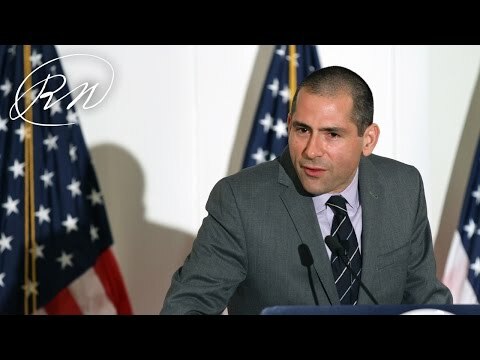 Foreign Policy Managing Editor, Yochi Dreazen discusses his book, The Invisible Front: Love and Loss in an Era of Endless War, about two brothers who died while serving with the U.S. Army, one by a roadside bomb in Iraq and the other by suicide. In his book, he explores the reaction of the Army to the two deaths and discusses the efforts made by the brothers’ parents to bring awareness to Post-Traumatic Stress Disorder (PTSD) and military suicides. Prior to joining Foreign Policy, Mr. Dreazen was a contributing editor at The Atlantic and the senior national security correspondent for National Journal, writing long-form features for the print edition of the magazines as well as breaking news and analytic articles for their websites. Mr. Dreazen began his career at The Wall Street Journal and spent 11 years at the newspaper, most recently as its military correspondent.